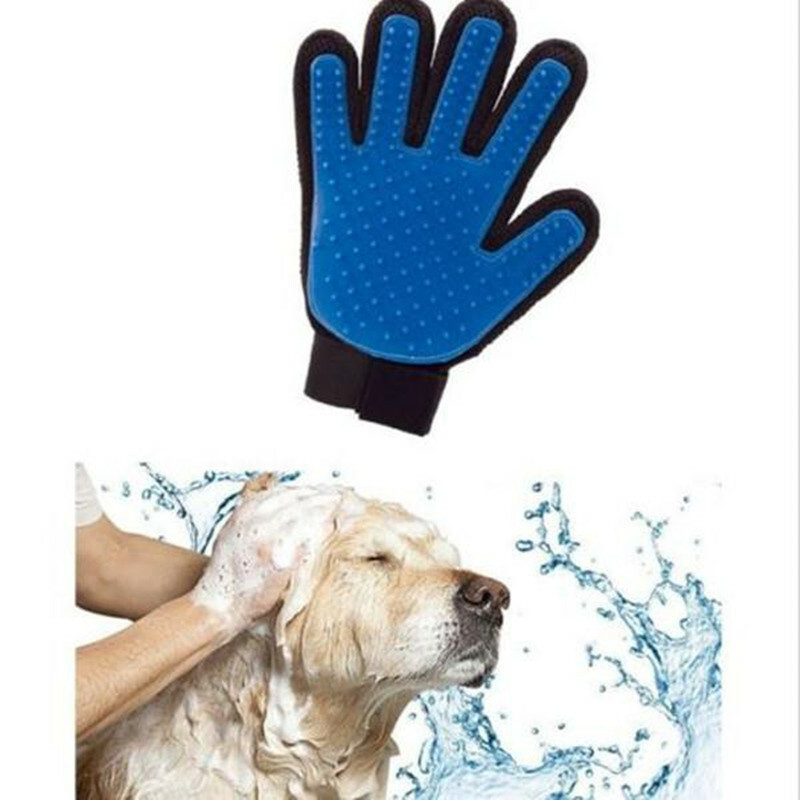 This Pet Grooming Deshedding Glove features 180 soft silicone tips to groom your pet canine or feline with ease. Pets love it! Fur will sticks to the glove, making it easy to peel and throw away after grooming your dog or cat. This glove is a lot more gentle and efficient than conventional grooming tools. Free from harmful materials that could cause skin damage. The soft rubber ensure a gentle massage and grooming without painful removing fur or damaging the skin. Perfect for any coat types - long or short and wet or dry. The adjustable hook-and-loop strap fits any size hands with its flexible mesh. With soft rubber tips this glove can gently untangles fur while lifting dirt and dust from the surface. To clean simply wash and sun dry.